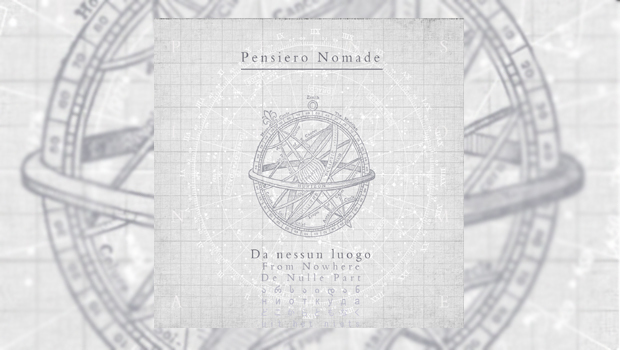 Led by guitarist Salvo Lazzara, Roman band Pensiero Nomade (possibly translated as “Free Thinker”) have been in existence since 2007, and Da nessun luogo is their fifth album. A wide range of modern instrumentation and electronic trickery produces an impressionistic soundscape for the multi-tracked voice of Michela Botti, producing in the process a set of otherworldly songs that gently caress the listener on a trip to who knows where, “From Nowhere”, as the title translates. Some of you may recognise the name of drummer and percussionist Davide Guidoni, one half of cosmic proggers Daal, and while the others are new names to me they are obviously all highly skilled at their craft. Touch and synth guitars add to the more conventional six-stringed electric variety, and the absence of solos in the traditional sense, combined with the loose beats, swashes of gongs, occasional piano and trumpet, synth strings and other effects make for a lovely soundscape. When Michela sings without multi-tracking on the title track, this sudden appearance of unaffected traditional song adds to the experience. As she sings in Italian, that ultimate poetic language, my experience as a linguistically challenged Anglo can only be impressionistic, but the air of slight melancholy overlaid with hope is inescapable. Near the end of this languid twelve-minute journey a wonderfully squelchy guitar break is another highlight of an album which has the air of a romantic art movie. On Il verso che non trovo, Michela is joined behind the microphone by Andrea Pavoni, the call and response of the vocal becoming ever more fraught and keening as it progresses, the slightly off harmonies overcome by sheer power of emotion, synth stings swooning in the background. This is a big production number and somewhat at odds with the filmic art rock of the rest of the album, to say the least. That slight aberration aside, Da nessun luogo is an interesting and atmospheric album, but perhaps does not do quite enough to make me hit “Repeat”, although the title track on its own certainly does.